Own your own slice of the Chesapeake at Piney Narrows Yacht Haven! Piney Narrows boat slips are available for lease and for sale. 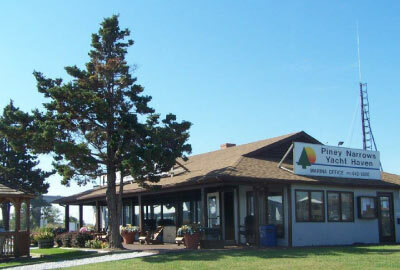 Piney Narrows Yacht Haven is a condominium slip facility, with slips currently for sale. There’s no better location to purchase a slip, as Piney Narrows is conveniently located near all major, nearby metropolitan areas, including Annapolis, Baltimore, Washington D.C., Wilmington and Philadelphia. Our marina is also a great jumping off spot for cruising to the most popular destinations on the Chesapeake Bay! Even better, Piney Narrows Yacht Haven is located right in the heart of the Kent Narrows. Our location offers owners and tenants access to great restaurants, tiki bars, fun nightlife, shopping and golfing – all within a few minutes from the marina. Below you will find out a list of slips currently on the market. If you find a slip that suits you, please let us know so that we can direct you to the right owner. Slip fees include the following great amenities: Cable TV, dockside water, winter bubbling, private air-conditioned and heated heads and showers, a beautiful swimming pool, convenient laundry, a club lounge, picnic areas with BBQ grill, gated entrance with key-card entry, reserved parking spaces, individually metered electric and free pump out. D-31 and D-32 100' open 2-50 AMP OPEN OASIS $8450.00 for both or $4225.00 for one slip.